NBEL Hybrid Power System with Renewable Energy Source involves solar and wind hybrid power system. Hybrid Power Systems are designed for the generation and use of electrical power. Hybrid power Systems are independent of a large, centralized electricity grid and incorporate more than one type of power source. 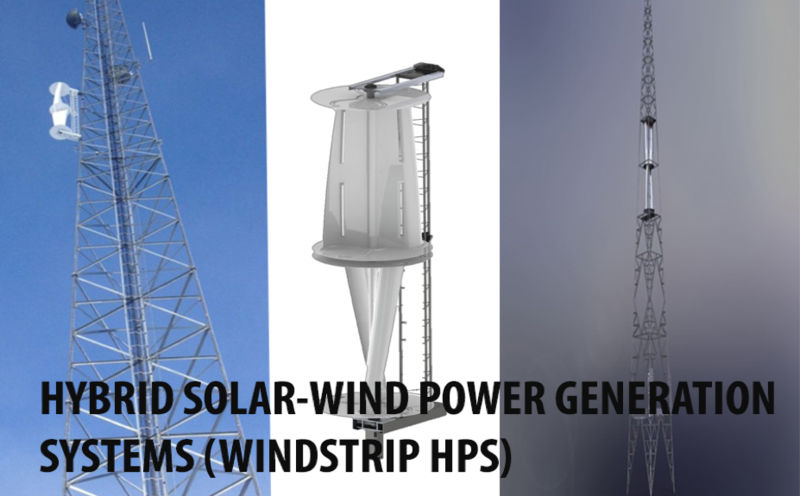 The NBEL Windstrip HPS is a Power generation system which has lots of benefits in the power generation line. Due to its robustness it can be integrated into Wind Turbines, Solar Panels, Grid supply, Generators, Fuel cells, Batter Banks. With all these integrated features mentioned earlier this system has the ability to operate 15 months maintenance free (and counting). Modularity in Components, Multiple power production components can be added/removed based on resource availability. Power Production Scalability, The system seamlessly scales up from 3kw by Installing electronics in parallel. Multi Power Source Integration, Control software and electronics can incorporate an almost unlimited number of unique power sources and routes excess power to battery banks or the grid. Dynamic Electronics, Patent-pending algorithms achieve maximum power extraction with any components regardless of conditions. Remote Monitoring, Online user interface allows operators to monitor the system in real-time to pre-emptively correct issues.